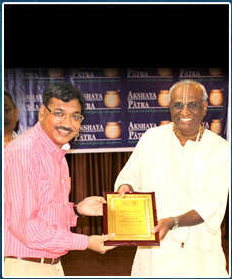 Dr. Puja Agarwal is an eminent scholar and a highly qualified academician. She herself has been a meticulous student in her entire education life. She is a double graduate in Commerce & Law from Punjab University followed by which she pursued her Master’s in Business Administration (MBA). She holds a PhD from USA in HR Management. She has been awarded a gold medal from Mr. Krishna Kant, the then Hon’ble Vice President of India, for her excellence in academics during her graduation in Law from Punjab University. She has also been conferred with several other recognitions from eminent personalities of high repute, one of them being former Prime Minister and the then Finance Minister Dr. Manmohan Singh. She has also attended an exchange program with Stockholm University, Sweden and School of Oriental and Asian Studies, London sponsored by Ministry of External Affairs, wherein she represented India as a Law Student & shared ideas on International Laws. 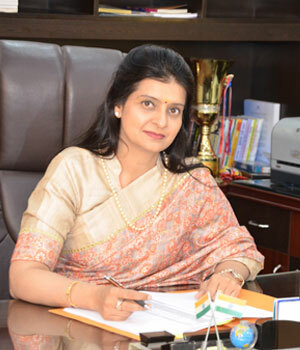 She started her Professional journey as a faculty in the institution and has successfully climbed the career ladder, becoming the Director of Arya Group of Colleges. She is an guiding light of the institution. And is being restructuring skills and career guidance of students with her expertise. She is always a major part of social activities, working with a never ending zeal to rejuvenate the society. She has a deep concern for promoting education to the maximum possible ways and leaves no stone unturned in creating a wholesome environment. She has been felicitated with “Nari Shakti Award” by Mrs. Kiran Maheshwari, Minister, HRD, govt. 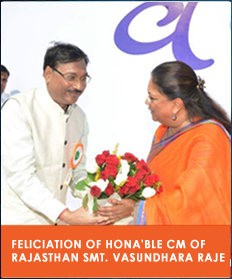 of Rajasthan for her contribution in the field of women education and women empowerment. Her efforts continue to mark the way for a better society driven by skilled, responsible and noble professionals. 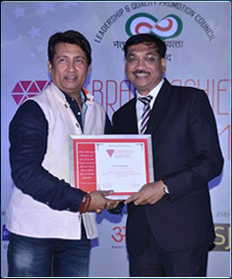 "ARYA is committed to continuously enhance capabilities and potential of budding professionals with the sole objective of transforming them into leaders of tomorrow in their chosen interest. I am confident that with the combined efforts of the Management, Faculty, Staff, our students shall grow with an optimum blend of excellence in academics, in person and in human values".